The story behind our iconic silverware and the origin of the silver teapot. Each of our iconic silver-plated teapots, as used in The Wolseley itself, are sourced and specially selected from the leading silver suppliers in London. Our curated range encompasses a mix of Edwardian and Art Deco, made between 1900 and 1930. One of The Wolseley’s most requested items, they are adored by customers and no two are the same. Teapots originated from China and are thought to have derived from ceramic kettles and wine pots, which had been household items in the country for thousands of years. During the Ming dynasty (1368-1644), teapots became increasingly popular throughout the country and by the late 17th Century, tea was being shipped to Europe as part of the export of luxury goods, alongside porcelain teapots. Originally the domain of the upper classes due to the high cost of the leaves, tea drinking gained popularity in Europe during the 18th Century. The earliest known silver teapot can be found today in the Victoria and Albert Museum in London – engraved with the Arms of the East India Country and those of Lord Berkley, with a hallmark dating it to 1670. The design and shape of silver teapots proceeded to evolve in various ways over the years and in colonial America it was Boston that became the epicenter for silver production and artistry. 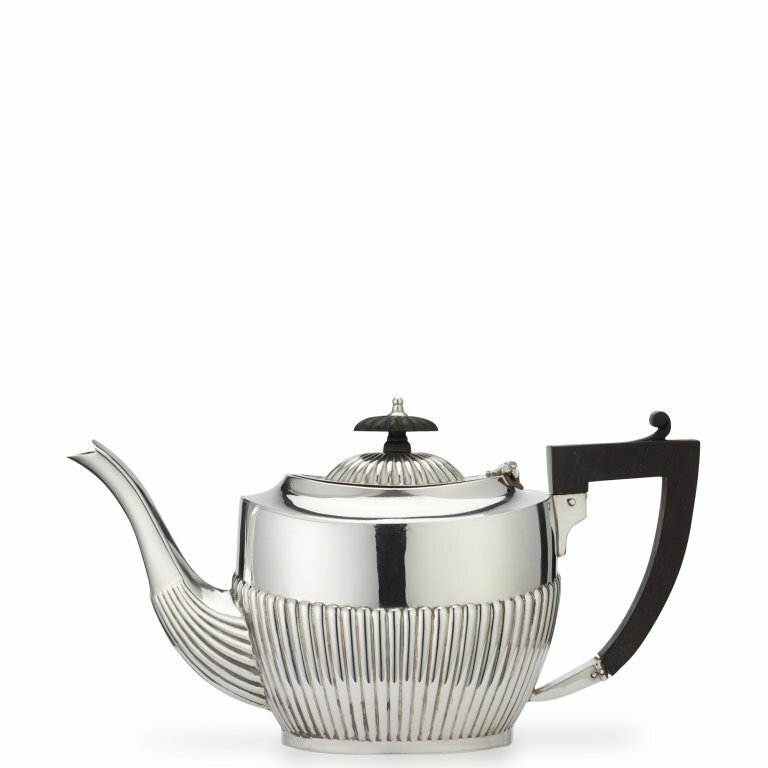 The natural properties of silver allow heat to be retained well, making these the perfect vessels in which to hold tea. It is also a very durable material in comparison to others, such as porcelain or ceramic, making for a long-lasting teapot and an ideal keepsake.